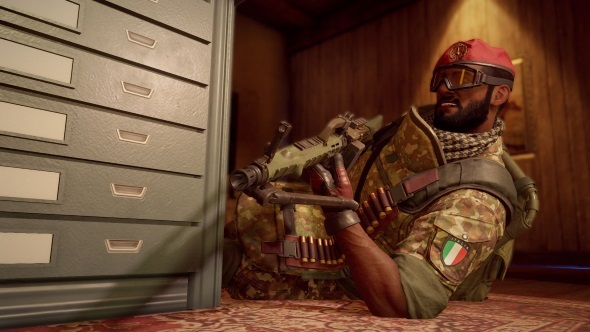 After countless leaks and teases, Ubisoft has officially unveiled Rainbow Six Siege Para Bellum, the upcoming Italian-themed season for the massively popular tactical shooter. The new Rainbow Six Siege operation will bring a haul of updates to the game, ranging from a new secondary gadget and map buff, to balancing changes and quality of life improvements. But by far the most interesting additions are the forthcoming Italian operators and map. To help you keep on top of all the announcements about Rainbow Six Siege Para Bellum, we’ve assembled this handy roundup of everything we know. So for all the latest information on Para Bellum’s operators, map, weapons, and release date, read on. At the start of your Siege career? Here are the best Rainbow Six Siege operators. Operation Para Bellum adds Siege’s 39th and 40th operators, signalling that the pool of Rainbow Six characters has now doubled in size since the game’s launch in 2015. Both Italian operators are defenders, mirroring last season’s duo of attackers, meaning that the sides are finally balanced out. There are now 20 attack operators and 20 on defence. Rainbow Six Siege Para Bellum is now available. The latest Rainbow operation launched on Ubisoft’s live servers on June 7. As usual, season pass holders have access to the new operators on day one, with non pass holders having to wait until June 14 to unlock them. 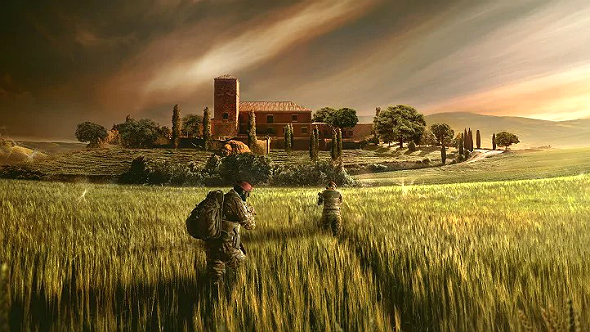 Para Bellum was released onto the Technical Test Server (TTS) on May 22, so many PC players have already had chance to get experienced with the new map and operators. Both of the new Rainbow Six Siege Para Bellum operators are defenders, which balances out the sides after the two attackers that arrived as part of Operation Chimera. The new defenders bring a diverse and interesting arsenal to the game; they are equipped with SMGs, shotguns, and the defenders’ first LMG, and use gadgets such as barbed wire, bulletproof shields, and impact grenades. Their names are Alibi and Maestro and they hail from the elite Italian Gruppo Intervento Speciale (G.I.S.) special forces. 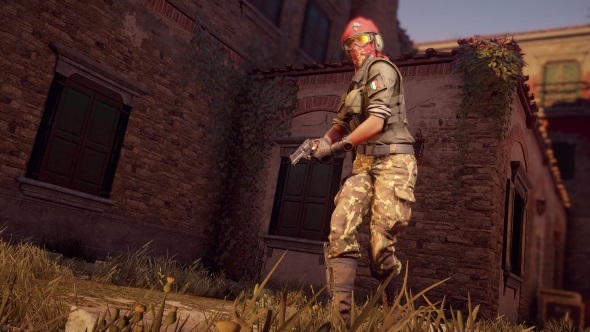 The first of Para Bellum’s new operators is Alibi, a nimble roamer character inspired by Italy’s undercover infiltration specialists. Using the Prisma gadget she can create holographic copies of herself that act as decoys; essentially she tricks attackers into shooting a false version of herself, allowing her to get the drop on the enemies she has confused. She can deploy up to three of these. Prisma holograms do more than just confuse enemies, too; if an attacker shoots a hologram, they are tagged for Alibi to see, much like how Jackal’s tracking system works. Alibi also has a passive ability that prevents teammates from being identified if they leave the defender area of the map. If anyone on the team decides to do a run-out, attackers will be alerted but won’t be able to see which operator is out of bounds. Alibi comes packing the Mx4 Storm submachine gun and the frankly insane ACS12 automatic shotgun. Continuing the shotgun theme is the Bailiff 410 sidearm: a 5-round revolver that fires buckshot shells and can decimate walls and hatches in just a few shots. If that’s a little overkill for you, you can always opt for the tamer Keratos .357 Magnum. Joining Alibi is Maestro, an anchor operator designed around the idea of area denial. His main trick is two deployable, remote-controlled bullet-proof cameras with a little secret: a laser that Maestro can use to fire on attackers while he hides in a safe location. This laser is not powerful – each shot does just five damage, and firing it too often causes it to overheat – but it’s a handy piece of surveillance tech that can also hinder attackers as they push up. You need to be careful when operating it, though: while the camera itself is bulletproof, the shields must be retracted to fire the laser, leaving it vulnerable to enemy fire. If you thought Maestro’s gadget sounded neat, then you want to see his weapons. He’s able to bring the ALDA 5.56 into battle, a hefty LMG that has its roots in the terrifying MG42. This marks the first time that defenders have had access to an LMG, and that opens up a variety of tactical opportunities for them, especially when it comes to denying entry to areas by laying down sustained fire. Whatsmore, it can even be equipped with an ACOG sight. Should a massive 80-round box magazine not be your thing, you can equip Maestro with the ACS12 automatic shotgun, too, as well as both of the revolvers available to Alibi. Seeing as Chimera didn’t feature a new multiplayer map, the rotation pool for Ranked play has grown a little stale. Fortunately, the new operation comes with a brand new Rainbow Six Siege Para Bellum map set in Italy. The Para Bellum map is based on a beautiful Tuscan villa. It is made up of a large three-storey building, with two floors above ground and a narrow, claustrophobic basement. A large tower on the corner of the building can be climbed from outside but thankfully doesn’t act as an Oregon-style sniper nest. There are several entrances, but all are tricky and demand patience, especially the solitary roof skylight. There are plenty of breachable walls and floors throughout, with a good number of hatches to blow through and drop down. This allows for a great deal of vertical gunplay across floors, as well as the classic sightline-based room design. The map has been designed to be as competitive as possible, with ranked and pro play in mind. The intention is for it to replace Kafe, and it seems that there’s a good chance that it could do just that. Para Bellum also introduces a few extra features to help improve the general quality of Rainbow Six Siege. A new defender equipment item – the bullet-proof camera – will be added for a handful of defender operators. Echo has been buffed to be able to use two Yokai drones instead of one. A new counter defusal animation, where the operator uses a gadget to deactivate the attacker’s defuser, replaces the rather inelegant bashing of the briefcase with a rifle. The new pick and ban system that allows teams to prevent four operators from being used is available as part of custom games. Finally, the new Discovery Playlist feature allows you to dive straight into the new Villa map instead of waiting for it to appear on your map rotation; simply click the icon on the main menu to find a Villa game.